Why disciplining your child doesn't work...and what will. Touted as the solution to bad behaviour, discipline has in face been a major cause of children's dysfunction for generations. Now learn what really works! Every parent wants the golden key to raising well-behaved, academically gifted, successful, happy children. Embedded in our collective psyche is the notion that discipline is the cornerstone to achieving these goals. Out of Control—Why Discipline Doesn’t Work and What Will challenges this notion, offering a never-before-published perspective on why the entire premise of discipline is flawed. Dr Shefali Tsabary shows that the very idea of disciplining children has in fact been a major cause of generations of dysfunction. This book goes to the heart of the problems we have with our children, not only questioning our dependence on discipline but daring us to let go of our fears for our children, replacing them with an approach that draws parent and child together instead of alienating them. The key to raising a terrific child is ongoing meaningful connection between parent and child, free of head games such as threats, deprivation, punishment, and timeouts—all of which are forms of manipulation. 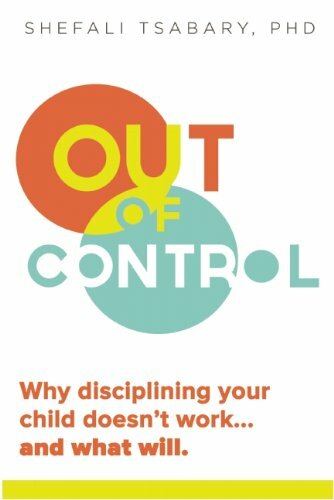 In Out of Control, we discover the reasons for a particular behavior and how to bring out the best in a child. Far from an “anything goes” approach, this is how a child learns responsibility and takes ownership of their life. When children connect with us and are encouraged to be true to themselves, the automatically develop the character and resilience that flow naturally from within. 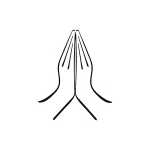 Shefali Tsabary, PhD, received her doctorate in Clinical Psychology from Columbia University, New York. Born in India, she was exposed to Eastern mindfulness at an early age and integrates its teachings with Western psychology. Her ability to appeal to both a psychologically astute and consciousness-driven audience establishes her as one of a kind in the parenting field. She lectures extensively on conscious parenting around the world and is in private practice in New York. In addition to Out of Control, she is also author of The Conscious Parent. Dr Tsabary is a frequent guest on Oprah's Super Soul Sunday and Lifeclass.